Pythons are highly valued by snake enthusiasts, but most become too large for the average household, and cannot be safely handled by young or inexperienced keepers. But in the early 1990’s a “big python in a small package” appeared in the pet trade, and its popularity has since soared. Averaging only 3 ½ to 4 ½ feet in length, the Save or White-Eyed Python (Liasis savuensis) is beautifully iridescent and calm in demeanor. And, with a natural range that spans a mere 60 square miles, this interesting snake is also important from a conservation perspective. The Savu Python was first described in 1956, at which time it was classified as a one of three subspecies of the Macklot’s Python. Today, there is disagreement as to its species status, and many herpetologists continue to list it as Liasis mackloti savuensis. The Savu Python’s outstanding features include brilliant iridescence and its noticeably-white eyes. Hatchlings are reddish-brown to rich orange in color. They undergo a radical color change with maturity, by which time most are dark brown and bear rusty-orange spots on the belly and sides. 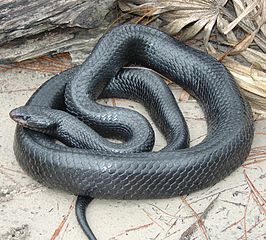 Some adults, however, are nearly black in coloration, while the scales of others retain an orange tinge. Few adults exceed 5 feet in length, with most topping out at 3.5 – 4.5 feet; only 3-4 of the world’s 40 python species are as small. The Savu Python is found only on the 10 mile x 6 mile Indonesian island of Sawu (also known as Savu), off Australia’s northwestern coast. It has the smallest natural range of any python. Although this snake’s natural history has not been well-studied, reports indicate that it is a habitat generalist. Savu Pythons have been found in wooded grasslands, palm thickets, thorn scrub, and along the ocean shore. 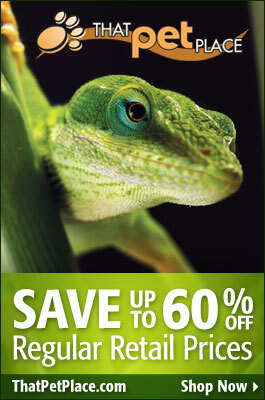 Hatchlings may be started-off in 10 gallon aquariums. Adults can be accommodated in a 30-55 gallon aquarium. Screen tops must be secured with clips and a hide box should always be available. Newspapers and washable terrarium liners may be used as a substrate. 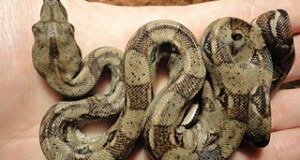 As some keepers have reported that Savu Pythons seem prone to mouth irritations and infections, those kept on cypress chips http://bitly.com/Plr8BA or similar substrates are best moved to bare-bottomed enclosures at feeding time. Pythons do not require UVB light, but may benefit from the provision of a UVA bulb. The ambient temperature should range from 75-84 F. Incandescent bulbs can be used to create a basking site of 90 F. Ceramic heaters or red/black reptile “night bulbs” may be employed to provide heat after dark. If needed, under-tank heaters http://bitly.com/SRpr5g can be used to further warm the basking surface. Provide your snake with the largest home possible, so that a thermal gradient (areas of different temperatures) can be established. Thermal gradients, critical to good health, allow reptiles to regulate their body temperature by moving between hot and cooler areas. Little is known about the diet of wild Savu Pythons, but they likely prey upon small mammals and, perhaps, ground-dwelling birds and lizards. Small food items, such as mice or rat pups, are preferable to large, even for adults. Except for females being readied for b breeding and growing youngsters, Savu Pythons are best fed every 14 days. Water should always be available. Bowls should be filled to a point where they will not overflow when the snake curls up within. Savu Pythons are typically calm in disposition, and generally tolerate gentle handling. Like all snakes, however, care must be exercised when working around them. Breeding activity is stimulated by a 2-3 month period of reduced temperatures (72 F by night, 82-85 F by day) initiated in late autumn. Clutches generally contain 5-10 eggs, which may be incubated in moist vermiculite at 88-90 F for 55-65 days. Hatchlings average 11-14 inches in length.